Posted by Dave Emory ⋅ December 7, 2014Post a comment Email This Post Print This Post Tweet This! That analysis may not apply to his political legacy. At the same time, Argentina is making angry noises again about the Falklands Islands, which they claim as their own. Before delving into the two countries’ coordination of their efforts against Gibraltar and the Falklands, some background discussion is in order. In a previous post, we discussed the “deep fifth column”–a fascist constellation existing over decades, rooted in the fascism of World War II and perpetuated by the political inertia inherent in powerful political/economic elites. In the context of the “deep fifth column,” we have also spoken of the Falange, the international fascist organization based in Spain under Francisco Franco and catalyzed as a German-controlled power political entity in the run-up to the Spanish Civil War. Under Francisco Franco, Spain remained an overt fascist dictatorship in Europe through 1975. Although Spain was “officially” neutral during World War II, it was, in reality, an Axis non-combatant, loyal to the forces of Hitler and Mussolini that had elevated Franco during the Spanish Civil War. For years, Argentina under Juan Peron and later under the junta dominated by Argentinian members of the P-2 Lodge, that country was not only overtly fascist but a major haven for Nazi expatriates and flight capital controlled by the Bormann network. Spain and Argentina are coordinating their efforts and this raises a number of interesting considerations, to be weighed against the very real possibility that we are looking at a “deep falange” in action. Like the other PIIGS countries, Spain has experienced grinding social conditions as a result of German-dictated EU austerity in the wake of the collapse of Spanish real estate and the 2008 financial meltdown. Poverty and deprivation make people more desperate. Mariano Rajoy himself has been fending off corruption charges. Might we be seeing a “let ’em eat nationalism/fascism/aggression gambit by Rajoy? Rajoy’s rationalization for his actions concerns Spain’s “EU obligations” with regard to financial irregularities. (See text excerpts below.) Might this be German-dictated? Are we looking at a German hand in the “deep Falange glove,” so to speak? The continued honors bestowed upon the Blue Division, that fought in World War Ii with the armies of Hitler. Juan Antonio Samaranch, Franco’s former Minister of Sport for many years, headed the International Olympic Committee for many years. More than half of its current members are his proteges and the Committee retains his personal “stamp,” so to speak. Spain is among the most economically and socially beset of the Southern Eurozone countries, with very high unemployment, especially among the young. Spain has been manifesting an aggressive stance against the British territory of Gibraltar, scapegoating it (in part) for Spain’s fiscal malaise. Throughout the Eurozone, the German-imposed austerity doctrine has created social conditions fertile to the rise of fascist groups. In addition to the scapegoating of ethnic minorities for social ills, dire economic straits also facilitate hyper-nationalism–both are staples of the fascist agenda. It remains to be seen how much of the developed world succumbs to a “Let Them Eat Fascism (and/or Xenophobia and/or ultra Nationalism)” political ethic. In that context, the political heritage of Mariano Rajoy and his People’s Party are important to bear in mind. In essence, Rajoy’s PP is a vehicle for the political resuscitation and resurrection of Franco’s fascist Falange. As can be seen in the article below, the heartbeat of Franco’s fascism remains, long after his has stopped. It is also worth remembering that Spin was the epicenter of a Third Reich government-in-exile in the postwar period. “Franco’s Legacy Rattles Spain” by Matt Moffett and David Roman; The Wall Street Journal; 12/2/2013. A series of headline-grabbing incidents in recent months has prompted soul-searching among Spaniards over dictator Francisco Franco’s enduring legacy—and the disruptive potential for extremism to flare at a time of deep economic distress. Over the summer, several Spaniards posted pictures of themselves holding fascist flags or giving Nazi salutes on social-media sites. In September, a self-described fascist group assaulted a cultural center in Madrid representing Catalonia, a region that was repressed by Franco and is now home to a growing political movement seeking independence from Spain. A week later an Argentine judge sought the arrest of some Franco-era security officials for alleged crimes against humanity. That was a marked contrast to the passive approach of Spain’s own judiciary, which has left the Franco regime’s abuses unpunished in the interest of preserving the country’s peaceful transition to democracy. Now some Spaniards worry that the failure to thoroughly confront Spain’s authoritarian past—what has been dubbed “the Pact of Forgetting”—has left the door open to an emergence of extremism in a new generation devastated by years of economic crisis and 50% youth unemployment. “In these moments of crisis and disappointment with politics, this creates a Petri dish for extremist movements, as they provide simple answers to complex problems,” said Jordi Rodriguez, professor of politics at the University of Navarra. Esteban Ibarra, president of a group called Movement Against Intolerance, said Spain was experiencing its worst wave of far-right extremism since the mid-1990s, during a previous economic and political crisis. . . .
. . . . In 1977, Spain’s parliament passed an amnesty law that protected officials of the dictatorship and those involved in Civil War-era crimes, including supporters of anti-Franco forces, from prosecution. Since then, many Spaniards who were sympathetic to Franco were absorbed into the conservative PP, and began to embrace more-centrist positions. That has had the effect of draining the potential membership pool for extreme-right parties, analysts say. . . .
. . . . But the absorption of the Franco legacy into the political mainstream has created some contradictions that bedevil Spain and the PP to this day. Monuments to Franco and his followers still dot the Spanish landscape, despite a 2007 law that prodded officials to start removing them. “This is the only country where you can be a democrat without being an anti-fascist,” said Rafael Escudero Alday, a law professor at Madrid’s Carlos III University. That paradox was evident in the recent flurry of photos of young PP activists offering fascist homages. In one of the photos, a small town PP councilman posed at Franco’s burial place holding a fascist banner. In another, a local leader of a PP youth organization is shown making a Nazi salute. . . .
2. Spain continues to honor veterans of the Blue Division, which fought on the Eastern Front with Hitler’s armies. “The Spanish Government’s Delegate in Catalonia Pays Tribute to Hitler’s Soldiers”; Catalan News Agency; 5/17/2013. María de los Llanos de Luna, from the People’s Party (PP), gave a diploma of honour to a brotherhood of soldiers and supporters of the ‘Divisón Azul’, a division of Spanish volunteers who fought in the Nazi army on the Eastern Front during the Second World War. De Luna is the top representative of the Spanish Government in Catalonia and she is known for her Spanish nationalism and anti-Catalan identity stance. The ‘Blaue Division’, the 250. Infanterie-Division of Nazi Germany’s Wehrmacht, represents the main collaboration between Franco’s dictatorship and Adolph Hitler, as well as the Condor Division – which bombed Gernika – and the arrest of Catalonia’s President Lluís Companys by the Gestapo. The 12 members of the brotherhood who attended the diploma ceremony were wearing the Falange uniform, which was the only party allowed during Franco’s Fascist dictatorship, created before the Spanish Civil War. This Fascist party is still legal in Spain. . . .
. . . . The ceremony was commemorating the 169th anniversary of the Guardia Civil (the Spanish Gendarmerie) and took place in one of its barracks in Greater Barcelona (in Sant Andreu de la Barca). The anniversary of the creation of the Guardia Civil, which has historically been a corps linked to Spanish centralist power and the imposition of order – sometimes brutally – had not been celebrated in Catalonia for many years. However, De Luna decided to commemorate this anniversary again in 2013, half a year after 1.5 million citizens peacefully and democratically demonstrated in Barcelona’s streets asking for Catalonia’s independence from Spain. . . .
. . . . The Left-Wing Catalan Independence Party denounced the fact that the Spanish Government has given a €3,500 subsidy to this Fascist brotherhood this year. Alfred Bosch, ERC’s Spokesperson in the Spanish Parliament, asked for a law banning the celebration of any event recognising people linked to the Nazi regime. . . . The People’s Party was a re-foundation in 1989 of the People’s Alliance (Spanish: Alianza Popular, AP), a party led and founded by Manuel Fraga Iribarne, a former Minister of the Interior and Minister of Tourism during Francisco Franco’s dictatorship. The new party combined the conservative AP with several small Christian democratic and liberal parties (the party call this fusion of views Reformist centre). In 2002, Manuel Fraga received the honorary title of “Founding Chairman”. . . .
. . . . The party has its roots in the People’s Alliance founded in 9 October 1976 by former Francoist minister Manuel Fraga. Although Fraga was a member of the reformist faction of the Franco regime, he supported an extremely gradual transition to democracy. However, he badly underestimated the public’s distaste for Francoism. Additionally, while he attempted to convey a reformist image, the large number of former Francoists in the party led the public to perceive it as both reactionary and authoritarian. . . .
4. One of Rajoy’s influences appears to have been his father–a Franco-era jurist. . . . . While on the campaign trail in 2011, Rajoy published an autobiography, En Confianza (In Confidence), in which he recalled his studious and quiet youth, following a father who was climbing the ranks of Francisco Franco’s judiciary. . . .
5. An area of residual Franco influence is the International Olympic Committee, which was headed for many years by Juan Antonio Samaranch, who was Franco’s minister of sport. More than half of its current members are Samaranch proteges, including his son. “Meet the IOC, Ideal Candidates for a Perp Walk” by Andrew Jennings; The Nation; 2.10/2014. “Spain Threatens Escalation of Gibraltar Row” by Damien McElroy; The Telegraph [UK]; 8/4/2013. Jose Manuel Garcia-Margallo, Spain’s foreign minister, said a row over fishing rights around Gibraltar would force Madrid into new punitive measures. The Spanish authorities have already provoked the British territory by imposing crossing restrictions at the border on successive days last week. After long queues last week, the Foreign Office called in the senior Spanish diplomat in London who was given a dressing down. In the wake of that meeting, Madrid said it would toughen its stance yet further. “The party is over,” Mr Garcia-Margallo told ABC newspaper as he unveiled proposals for a €50 (£43) border crossing fee and tax investigations of thousands of Gibraltarians who own property in Spain. Mr Garcia-Margallo said the Spanish tax authorities would investigate property owned by around 6,000 Gibraltarians in neighbouring parts of Spain, as part of its EU obligations to control “fiscal irregularities”. Spain was also considering closing airspace to planes heading for the airport in Gibraltar and changing rules to wring taxes from online gaming companies based in Gibraltar. . . .
Spain to Take ‘All Necessary Measures’ to Defend Gibraltar Interests” by Steven Swinford and Ben Farmer; The Telegraph [UK]; 8/9/2013. Prime Minister Mariano Rajoy said Spain will take “legal and proportional steps” after Britain sent a rapid reaction force of warships to visit the island’s waters. Mr Rajoy’s comments appear to echo the language of the United Nations Charter, which uses the phrase “all necessary measures” to authorise the use of military force. Tension between Britain and Spain over Gibraltar’s sovereignty have intensified following a row over fishing rights and the imposition of punitive border checks. Britain is sending a force of nine vessels, led by the helicopter carrier HMS Illustrious and including two frigates, to sail for the Mediterranean on Monday for the start of a four month deployment. Three of the ships, including HMS Westminsters, will actually dock in Gibraltar. . . .
8. Argentina and Spain may be joining forces in pressuring the UK over both Gibraltar and the Falkland Islands. “Gibraltar: Spain considers joint Diplomatic Offensive with Argentin­­­a over Falkland Islands” by Fiona Govan; The Telegraph [UK]; 8/11/2013. Spanish foreign minister Jose Manuel Garcia-Margallo will use a trip to Buenos Aires next month to raise the possibility of forging a joint diplomatic offensive with the South American country over the disputed territories, sources told Spain’s El Pais newspaper. Spain’s foreign ministry was also discussing whether to take its complaints over Gibraltar to the United Nations, the newspaper reported on Sunday. The sources did not specify whether Spain would ask the UN to back a request for Britain to give up sovereignty or just adhere to certain agreements. It could take its petition to the Security Council or take up the matter with the UN General Assembly. Spain is also considering the option of denouncing Gibraltar to the International Court of Justice in the Hague for its “illegal occupation” of the isthmus – the strip of land connecting the peninsula to the mainland that was not included in the 1713 Treaty of Utrecht. . . .
9. As part of the joint Spanish/Argentine pressure on the Falklands and the UK, Spain will be selling Argentina some Mirage combat jets. “Falklands Alert as Argentina Strikes £145 Million Deal for 20 Mirage Warplanes” by Nick Dorman ; The Mirror [UK]; 8/4/2013. Argentina has launched a new round of sabre-rattling against Britain by buying a squadron of warplanes to be based within striking distance of the Falklands, the Sunday People has revealed. President Cristina de Kirchner – who wants the UK to hand over the disputed islands – personally agreed the £145million deal to buy 20 second-hand Mirage F1 jets from Spain. The 1,453mph aircraft carry a fearsome array of weaponry including smart bombs. Argentina’s move could force the Ministry of Defence to bolster Britain’s presence in the south Atlantic, even though its budget is to be slashed by £875million in 2015. Senior officers believe Argentina could now begin a campaign of ­“pester patrols” – flights towards the Falklands to test RAF responses. Kirchner is thought to be trying to boost her nation’s military capability in a show of strength before elections which are due in 2015. But last night a senior RAF source said: “If the Argentines start playing games and escalate the tension, we will see more RAF aircraft being deployed to the Falklands.” . . . .
10. Argentina was a critical outpost of Nazism, with Argentine Nazis being, in effect, members of the NSDAP–the German Nationalist Socialist Workers’ Party. The Nazis Go Underground by Curt Riess; Doubleday, Doran and Company, LCCN 44007162; pp. 143-144.
. . . . All of the more than 200,000 Argentine Nazis are members, not of an Argentine suborganization of the Nazi party, but of the German party itself, and hold membership cards signed by Robert Ley, leader of the German Workers’ Front— which means, quite obviously, that Berlin considered, and still considers, Argentina not so much an independent foreign country as a German Gau. . . . These schools have been in operation for ten years now. They number among their former pupils a great many of the most active Nazi agents in South America today. And the teachers do not restrict their activities to German schools. They also teach foreign languages in Argentine state schools, and thus command an inﬂuence over the cultural life of the nation from which the Nazis have proﬁted and from which the Nazi underground will proﬁt. All these Nazi teachers must, in fact, be regarded as full-ﬂedged agents. So effective has been their inﬂuence that some of the wealthiest and most prominent citizens of Argentina have for some time been sending their children to German schools because, they say, the latter are so much better than the state schools. . . . In order to utilize Span’s geopolitical influence as a tool for Nazi imperial designs, the Third Reich turned to General Wilhelm von Faupel and his Ibero-American Institute. Von Faupel was a bitter opponent of the Weimar Republic, and readily accepted the Nazis as the antidote to German democracy. Known as an “I.G. General” for his links to the I.G. Farben company, von Faupel also maintained close ties to the powerful Thyssen interests which, like Farben, were the powers that backed Hitler. 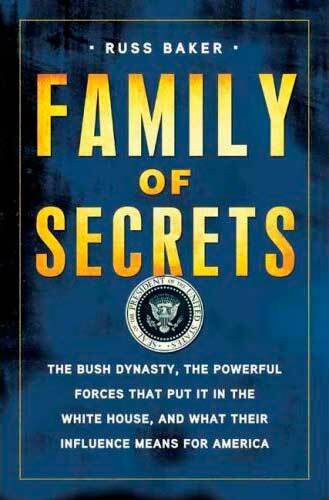 (The Bush family were also closely linked to the Thyssens.) During the 1920’s, von Faupel had served as a general staff adviser to the Argentine, Brazilian and Peruvian military establishments and was famed throughout Latin America for his skills as an officer. Because of his Latin American ties and his links to the corporate interests that backed Hitler, von Faupel became the Reich’s point man for the fascist takeover of Spain and subsequent construction of a Fifth Column throughout the Spanish-speaking world. In 1934, von Faupel assumed control of the Ibero-American Institute, an academic think tank originally founded as a legitimate scholarly institution. Under von Faupel, the organization became a front for organizing the Nazi infiltration and conquest of Spain. Rejecting royalist and Catholic sectarian rightist parties, von Faupel and the Nazis settled on the Falange as their chosen vehicle for gaining dominance over Spain. After arranging the assassination of General Jose Sanjurjo (a royalist rival for the leadership of Spain after the overthrow of the Republican government), the Germans and their Italian allies installed Franco as head of the fascist Falange. been sealed before the visit. became the pyre of the Anointed Chief of the Spanish Revolution. Von Faupel then proceeded to direct the construction of the “Falange Exterior” as the fascist Fifth Column movement throughout the Spanish-speaking world (including the Philippines). The Great Heroin Coup: Drugs, Intelligence and International Fascism; by Henrik Kruger; South End Press [SC]; Copyright 1980 by South End Press; ISBN 0-89608-031-5 [paper]; p. 205. NOTE: Not about Spain, France instead, but relevant to the return of Euro-fascism. It appears that Marseilles has already realized this was a bad, bad idea. But who came up with such a crappy idea in the first place? With the Le Pen family continually doing well in the polls over the years, it is hardly far-fetched to consider some of their acolytes may have found their way into social services. The card, an initiative Marseille’s Town Hall and social services, identifies the person with his or her photo, name and date of birth. “[The reaction] not only questions the necessity of a scheme for homeless people but also the commitment of the city, the SAMU and volunteers to come to the aid of those who need it the most”. When I was 11yo I had a close friend of mine and my elder brother’s, whose father, was AP’s concillor on our city’s hall. His father, gave him (as well to all his family members) a card called ‘El Salvoconducto de Tejero’ (Tejero’s Safe-conduct). It was a green and white card with a coin with Franco’s effigy. My friend told us what his father told the family about the card. It was given to close friends of the Franco’s regime that were at the Tejero’s side in 1981 during his coup–in case that part of the army MIGHT try it again with more success–to identify the person with his/her name and photo on the card as a “regime’s friend” and someone that “should not shoot at”. Acording to my friend, a kid like ourselves, every AP member (at least in our region/province) had his own card and safe-cards for his family and some relatives too. This came from the AP quarters in Madrid. That’s the AP that later on changed their name to PP. Checking their members background and family ties, it is easy to know what they stand for to and why, and how, they behave. A police helicopter in Brazil uncovered something interesting recently. The state this is in is 80% German. What’s a government to do when the people take to the street to protest the way the country is being run? A sensible government would change policies to appease the people it is committed to serving. Alternately, a government could take Spain’s current approach, which is to start fining and arresting people for protesting in the first place. Yes, that will solve the problem! * Holding a protest without obtaining a permit from the government first. * Protesting the day before an election. * Insulting a police officer. * Photographing/filming police officers and sharing said photos/videos. * Protesting at a bank. * Wearing hoods or masks, as they prevent authorities from identifying you. That’s not all. Even peaceful protests can be shut down if police fear that the protest could at some point “turn disorderly” (left to the police’s discretion, obviously.) Oh, and don’t even think about appealing these fines in court. People who appeal these fines will be made to pay the court costs. A quarter of Spain’s population is unemployed, with half of the nation’s young adults lacking a job. By upping the financial repercussions for protesting, the government knows it can scare away people who can’t afford to pay these tickets. Prime Minister Mariano Rajoy has pretended that this law is meant to “protect” the citizens. “One of the obligations of the government is to guarantee the liberty and security of all of its citizens,” Rajoy said, despite actually taking active steps to strip Spaniards of their liberties. The good news is that the people of Spain aren’t taking the news in stride. This past week, tens of thousands of people in more than 30 cities gathered to speak out against this attack on free speech rights. They might as well take advantage of their ability to protest before it’s made illegal, eh? Here is a quote from the Billboard.com article that quotes Ceo Thomas Rabe. According to the Wikipedia article on King Felipe His Majesty’s father was selected personally by General Franco to take the throne, but I remember distinctly from my high school history class his father was credited with peacefully transitioning Spain to Democracy after Franco’s Death. This visit maybe the King benignly promoting commerce and trade or it could be more along the lines of FTR 234 Tales From the Amber Room. Bertelsmann (f. l. t. r.): His Majesty King Felipe VI of Spain today visited the international media company Bertelsmann and its owning family, the Mohns. Liz Mohn, family spokeswoman at the BVG, Bertelsmann’s Supervisory Board Chairman Christoph Mohn, and Chairman & CEO Thomas Rabe welcomed HM Felipe de Borbón y Grecia at midday today at the group’s Corporate Center in Gütersloh. Here, the royal guest learned more about the company and its various businesses, especially in Spain. The visit to Bertelsmann was followed by a lunch for the King and members of the German-Spanish Business Council at Liz Mohn’s private residence. Bertelsmann coordinates the activities of the business council, founded in 2013, which works to promote German-Spanish relations. North Rhine-Westphalia’s state premier Hannelore Kraft also attended the lunch in Gütersloh. All of Bertelsmann’s divisions do business in Spain: RTL Group with Atresmedia and Fremantle Media España among others, Penguin Random House Grupo Editorial with renowned publishers, Gruner + Jahr with its subsidiaries G + J España and Motorpress Ibérica, and Arvato with service businesses, as well as Be Printers with printing plants and the music company BMG with its own Spanish branch. In all, Bertelsmann generates annual revenues of around €700 million in Spain. Beyond the business and cultural activities, long-standing ties of friendship exist between the Spanish royal family and Bertelsmann’s owning family, the Mohns. In 1998, HM Felipe de Borbón y Grecia – at the time Crown Prince – presented the prestigious Prince of Asturias Award to Bertelsmann’s postwar founder, Reinhard Mohn on behalf of the royal family and in acknowledgement of Mohn’s achievements in designing a corporate culture of partnership and his commitment to promoting libraries and literacy in Spain. In 2006, Liz Mohn was awarded the Spanish Grand Cross of the Order of Civil Merit (“La Gran Cruz de la Orden del Mérito Civil”) by HM Juan Carlos, then King of Spain. His Majesty King Felipe VI of Spain’s stop at Bertelsmann was part of the king’s inaugural visit to Germany. For more information as well as pictures and TV footage on the King of Spain’s visit, please go to our special site at http://www.bertelsmann.com/news-and-media/specials/spain/  . The travel schedule of Greece’s new finance minister says a lot about the state of the eurozone — and the political shifts created by seven years of economic turmoil. In recent days, Yanis Varoufakis has held meetings in Paris, London and Rome where he urged leaders to ease the pressure on Greece and reduce its towering debt burden. Berlin has yet to be confirmed on his itinerary — and so has Madrid. The omission of Spain is noteworthy because it underlines how the eurozone crisis has turned Europe’s political geography upside down: when it comes to helping Greece, there will be no such thing as southern solidarity or peripheral patronage. Italy and France may see merit in engaging with the new Greek leadership, if only to put pressure on Germany in the broader European economic policy struggle. But Spain has more reason than most to advocate a tough line against Athens, as do countries such as Ireland and Portugal. Viewed from Madrid, the political faultline in the eurozone runs not between a prosperous north and a crisis-ridden south, but between countries that have done their economic homework and those that have not. The Spanish government of Mariano Rajoy believes it belongs firmly in the former camp, while Greece — and to a lesser extent Italy and France — are in the latter. Over the past two years, Spain has styled itself as having proved that Europe’s orthodox response to the crisis works. The country has had six quarters of economic growth, unemployment is falling faster than expected, and confidence and investment have both started flooding back. Once an economic basket-case that came within a hair’s breadth of a bailout, Spain now thinks of itself as the Prussia of the south — austere, disciplined and ready to absorb short-term economic pain for longer-term gains in competitiveness. Officials insist that Spain’s initial response to the crisis — structural reform, budget cuts and tax increases — was based on authentic and independent decisions taken in Madrid. But in selling this unappealing mix to voters, the Rajoy government relied heavily on the argument that there was simply no alternative. The medicine had to be taken, no matter how bitter the taste. It is precisely that narrative that is now under threat from Athens. If Greece can lighten its debt load while lifting social spending and hiring more public workers, why did not Spain get such a deal? With a general election looming at the end of the year, it is a question that the Spanish government would rather not see planted in voter minds. Then there is the Podemos factor. Unlike many other European countries, Spain’s political system has already been transformed by the rise of a new anti-establishment political group that looks very much like the Syriza party that now rules Greece. Against all this, Mr Rajoy has to weigh two countervailing arguments. The first is that pushing Greece towards an exit from the eurozone could have calamitous effects on Spain’s economic recovery. The second is that the rise of Podemos has so far come largely at the expense of the centre-left Socialists. Indeed, some strategists in Mr Rajoy’s ruling Popular party are rubbing their hands with glee at the prospect of a fragmented adversary and at the chance to attack the main opposition party as an unwitting ally of the radical left. As disparate as all these factors appear, there is a common theme: Spain and like-minded countries on the European periphery no longer feel that they are in the same boat as Greece. In Madrid, that clearly counts as progress. In Athens, it should be cause for deep concern. That’s the austerian line: Look at Spain’s success! Arriba! Spanish GDP grew 2% in the year to Q4 2014, up 0.7% quarter on quarter. By anyone else’s standards that might seem a little on the modest side. But in the eurozone’s current circumstances, that’s excellent growth. Spain is the star performer of the big four euro economies. Spain’s growth rate now outstrips that of not only Germany, but the UK, where recovery has been much more obvious. Spain’s growth is a contested issue: To critics of eurozone austerity policies, it’s a dead cat bounce: A small recovery after a much deeper recession isn’t anything to cheer about. Unemployment is above 23%, a Greece-like number. Spanish house prices fell by about a third after the financial crisis, leaving a huge chunk of the country with heavy mortgage debt and little to show for it. But the country is the star pupil for fans of structural reform. It made significant labor-market reforms in 2012 to try to trim down its rigid employment laws, so it is touted as proof that hard (and painful) changes to inflexible economic systems pay dividends. The figures confirmed that Spain was one of the fastest growing eurozone economies last year and, with the exception of Ireland, ahead of the other “peripheral” economies. Portugal and Greece probably grew by around 1% in 2014 and Italy may have contracted. Despite that stronger growth, Spain remains one of the weakest economies in terms of the levels of activity. GDP is still almost 6% below its 2008 peak, pointing to the existence of a very large amount of spare capacity in the economy. Yes, austerity has so trashed the entire European economy that Spain, with 2% annual growth, is the star performer. Yay austerity! And then there’s the fact that GDP is still almost 6% below its 2008 peak. And don’t forget Spain’s rising debt to GDP ratio. And in the latest official figures Spain’s youth unemployment is as high as 53.5% vs 49.9% for Greece. Still, Spain is clearly in a very different category than Greece: Spain’s government apparently thinks everything is going great! Ireland should not be taken as a model for other countries struggling to overcome economic crisis, President Michael D Higgins said repeatedly on Tuesday during a day-long visit to the 47-member Council of Europe and the European Court of Human Rights. “I don’t think the Irish Government is seeking to give lectures to members of the EU or the Council of Europe,” Mr Higgins replied to a correspondent from the Chinese news agency Xinhua who noted that Ireland now has the highest economic growth in the euro zone. In the question-and-answer session following Mr Higgins’s address to the Parliamentary Assembly, a Turkish representative asked what was the secret to Ireland’s success. Sunday’s election in Greece brought the far left anti-austerity Syriza party to power. Though he never mentioned Greece by name, it was writ large in Mr Higgins’s speech. He called on parliaments “to muscle themselves into this debate, and to take it back from what I regard as unaccountable sources”. It was, he added, “a view that I share with Pope Francis”. The president of Ireland doesn’t seem nearly as enthusiastic about the austerity experience. That’s weird. It is “a scandal,” Hunko told the press, “that 70 years after the war, Germany is still paying more than €100,000 a year to Nazi collaborators.” The exact figure was €107,352 this year, allocated to 41 surviving soldiers, eight widows of former soldiers, and one orphan of a former soldier. It would be interesting to learn if Spain still paying any surviving members of the Condor Legion. If so, uh oh.